The realest talk: The postseason hasn’t been the same without the Brodie. It feels like the lack of life-threatening dunks followed by screams that petrify the soul is hurting the league, and I expect the competition committee to address how they plan to respond this summer. I thought I’d check in with Russ to see what he’s been up to since we last saw him on the court. 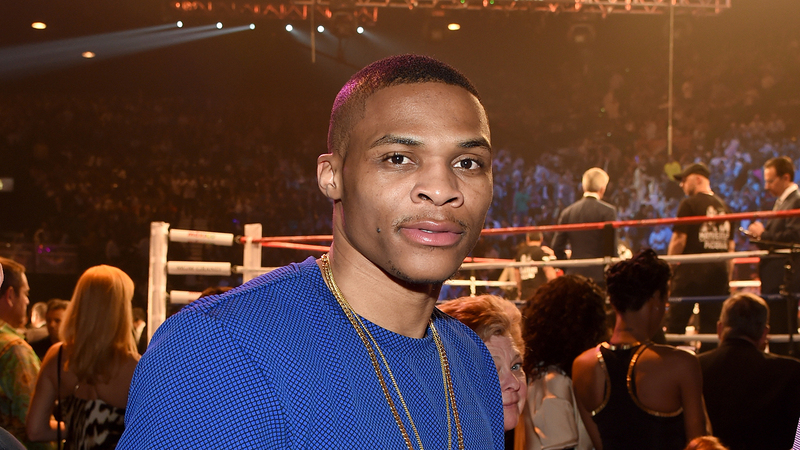 Heads-up: If you were worried about “Westbrook not being Westbrook,” then don’t. Russ has gone peak Russ, and, as always, I’m not sure anyone can stop him. Must watch on repeat approx. 100 times to get the full experience. 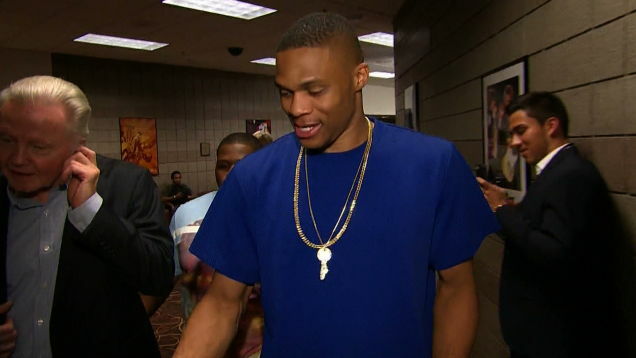 Russ had his good works rewarded two nights ago with the NBA Community Assist Award. We now have proof in the form of a fan-voted award that Russ is a Brodie of the people. Wait … remind me why this award is voted on by the fans (ah, never mind). Russ is one half of the best couple I don’t know, but GOD I WISH I DID. The other half is Nina Earl, and she is about to become the first lady of Oklahoma City. For real, Bae and Jay need to watch their heels. Allow me to join Juliet Litman’s lifelong campaign to get you to follow Nina on Instagram. Bookmark this video for next season. Russ visited the University of Central Oklahoma for graduation day, and he went onstage to hand his little brother his college diploma. Russ is the best older brother. Let the feels run through your veins and into your heart. Russ’s new XO collection dropped at Barney’s last week. Best part is, I don’t think I’d look completely ridiculous in at least three of these items, which is three more than I ever thought would be possible. The Thunder didn’t win the lottery, but Russ crushed the night with this one-liner, which was as good as any 3-point gun-holster slam in crunch time. Russ is wildfire right now. Between this photo and Mad Max being an artistic interpretation of a Westbrook fast break, Russ had a pretty big weekend at the box office. Be honest, this made you scream “RUSS IS GOD” when you first saw it. This had to be no. 1.